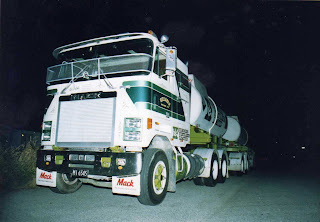 This Mack Cruise-liner, of Reliable Haulage, with liquid fertilizer B-train was parked in my street one night in the 80s. A Nelson petroleum Distributors Scania 92M of 1987 vintage is way down the West Coast of the South Island at the settlement of Fox Glacier. 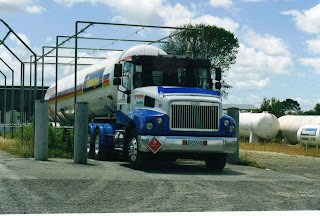 From here it is only a short drive to the melting face of the actual Fox Glacier. Another Reliable Haulage fertilizer B-train. This time a 1986 Mack Super-Liner R722RST, spotted at Mount Maunganui. 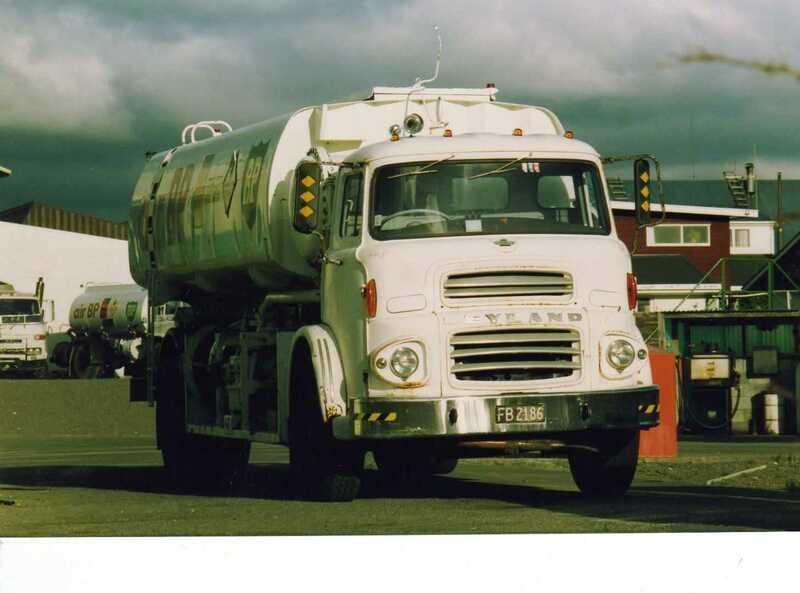 At BPs yard in Palmerston North is an old rusty Leyland which must have seen duty as an aircraft re-fueller, judging by it's "air BP" livery. 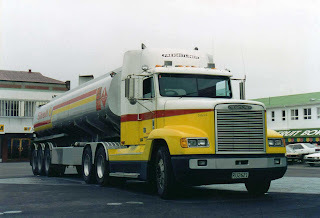 In the late 80s, Chemical Cleaning Company of Mount Maunganui had an all Mack Super-Liner B-train fleet. 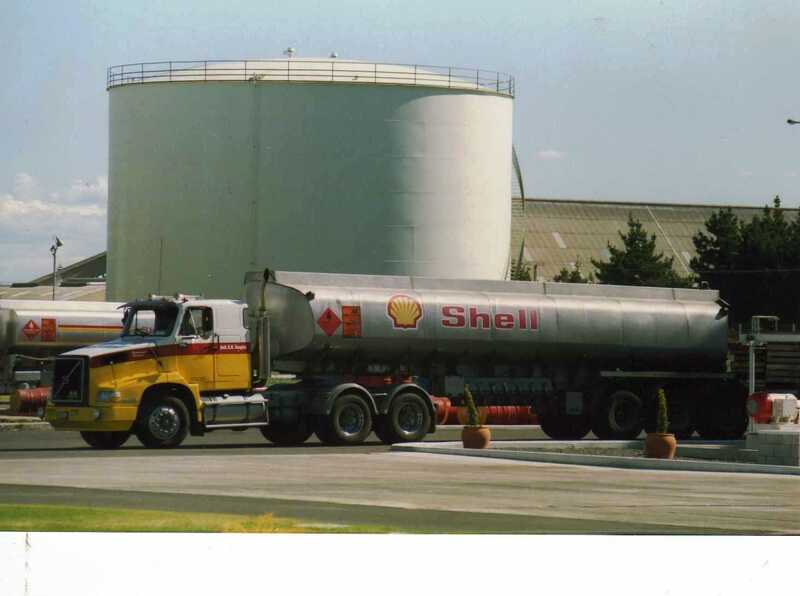 On the same day as the above photo, in the nearby Shell yard, was the Volvo NL of owner driver Seth Douglas. 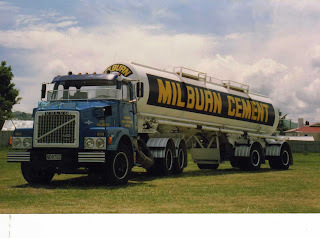 At a truck show at Hutt Park, near Wellington, is a 1987 Volvo N10 with cement tank. 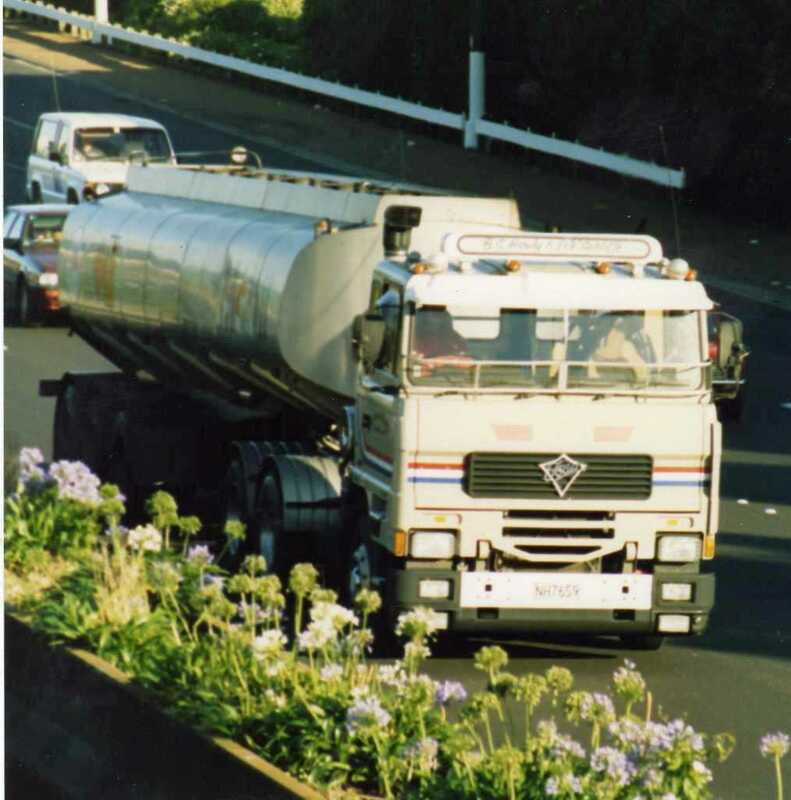 Whilst staying in Auckland a few years ago, I wandered to a nearby motorway over-bridge and shot this Foden in Mobil colours. 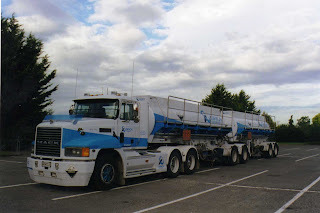 This Orica Chemnet chemical B-train, with Mack motivation, is parked overnight at Copthorne Solway Park Motor Inn in Masterton. 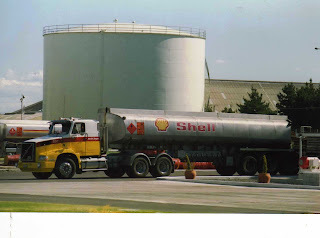 a Mr. Keegan from Wellington, but is seen here dispatching it's load at Shell Chapel St in Masterton. 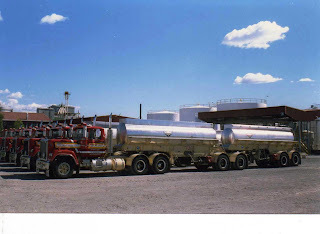 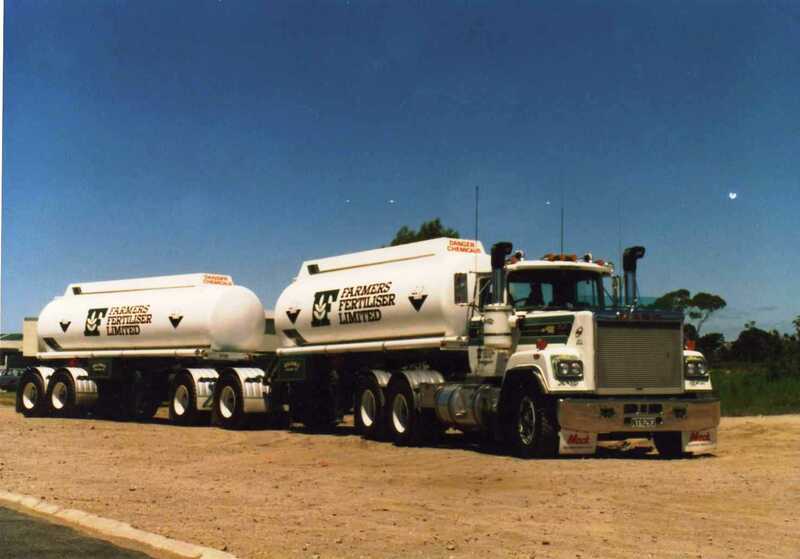 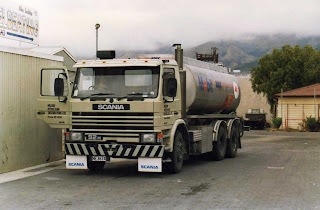 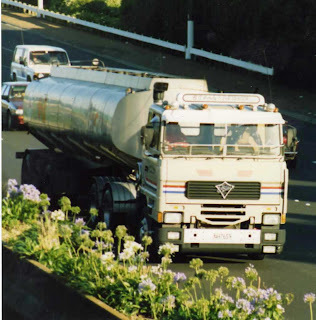 A gas tanker pulled by a 2003 Iveco Powerstar of Hookers, is seen here parked up at Palmerston North. Leyland Beaver FB 2186 was at Auckland Airport when I photographed it in 1984/85. 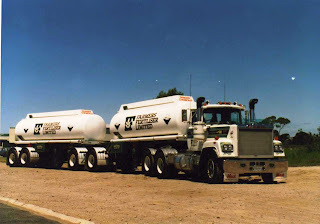 I wonder what happened to it ...?